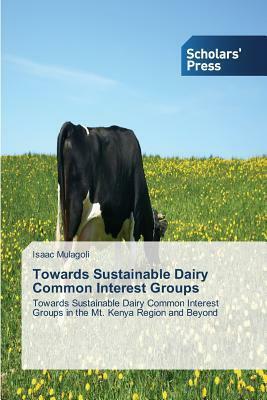 Common Interest Groups (CIGs) are producer organisations driven by market requirements and consumer trends. The liberalisation of the dairy industry provided the rationale to form commercial-oriented dCIGs. The dairy market actors confirmed that producing dairy products that farmers can sell is the only pathway to sustain producer groups. The weakest link in the DVC was between dCIGs and processors, which attracted the entry of small traders to fill the gap, reducing profit margins for producer groups. The dCIGs' dairy deliveries via contracts contributed a negligible amount of milk in formal markets, meaning dCIG members continue to deliver their milk as individuals instead of through envisaged collective procurement of farm inputs and disposal of dairy products. This works against their concept on commercial-oriented production and only sustains the exploitative small traders in the DVC business. The dCIGs can be a reliable source of increased rural employment and poverty reduction. The cooperatives are less competitive but the Cooperatives Act remains the most important legal instrument under which dCIGs must operate to achieve economic independence.